Just like health insurance for people, pet insurance can be expensive. It is often something that people say they can’t afford and will just take the risk that their pets don’t get very sick, or have an accident. As much as we all take the very best care of our pets and love them to bits, we can’t wrap them in cotton wool. Even in the most loving of households, accidents can and often do happen. Have you thought about how you’d pay the bills if you were faced with expensive veterinary surgery, or life-saving medication? Some people put aside a few dollars a week into a money jar to save for that unexpected vet bill and that’s a very good way of doing it, IF you can be disciplined to do this each week. AND not be tempted to dip into it ‘just once or twice’ when you need some spare change. To many people, pet insurance may seem like an indulgence and not worth doing. 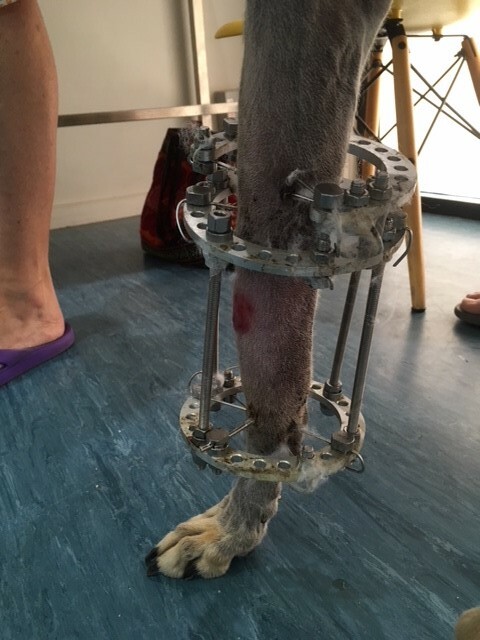 I, for one, am very relieved to have insurance for all three of our dogs when our rescued greyhound Chelsea had an accident at the start of this year which resulted in a badly broken leg. 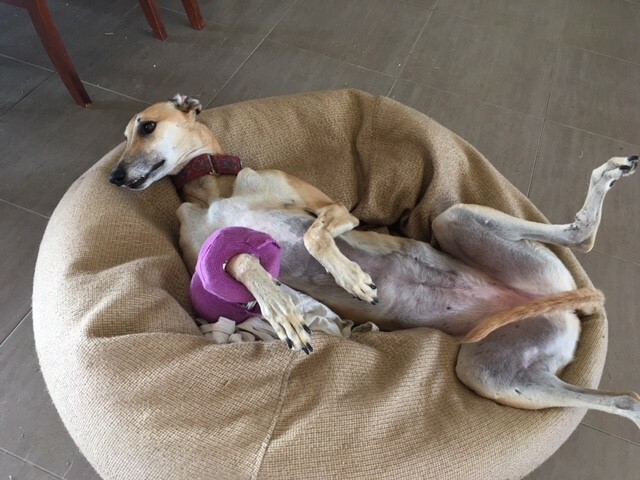 We don’t know what happened, but we suspect she was kicked by a kangaroo in our back garden. Despite being careful to check each night before final wee stops, we obviously missed this one and before we knew it we were making a mad dash to the local clinic at 10pm on a Sunday night. I’ll spare you the details, but suffice to say after an overnight stay to stabilise her, a two hour drive to the specialist clinic in Werribee, two nights in emergency, a weekly trip to the local vet for 6 weeks for bandage changes and medication, two subsequent trips to Werribee for checkups with at least one more to come before the brace can be removed, over the past 2 months we’ve racked up quite a bill (around $6000 so far). For most people, us included, this is not an amount you have just lying around, so we are very grateful that after an initial $200 excess, 80% of our costs have been covered and repaid on a timely basis to us. There are many mainstream insurance companies now offering pet insurance, with most paying 80% of costs for major illnesses, accidents and scans. But beware, depending on your level of cover, not many cover routine pet care such as consultations for minor ailments or vaccinations. So make sure you read the fine print. If you’ve been considering pet insurance, do you research and weigh up the pros and cons for your individual circumstances. 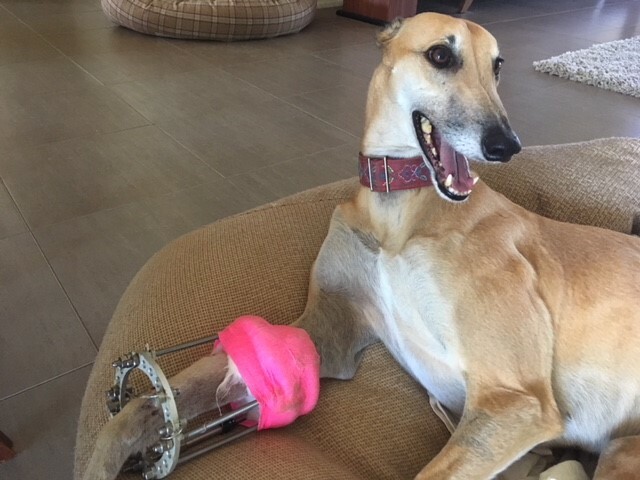 I know we are grateful we’ve been able to get Chelsea the specialist treatment she needed in order to save her leg and give her the chance of having a relatively normal life for the rest of her years. I think she looks pretty happy about it too!